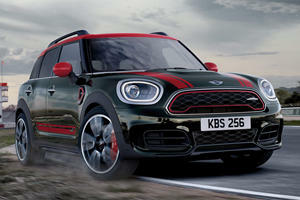 The MINI Countryman model is a premium quality SUV-like car for those wanting a MINI but with more practicality. 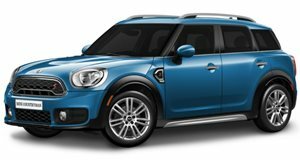 The spacious 5-seater also comes in a choice front-wheel drive and all-wheel drive, an 8-speed automatic sport transmission or a 6-speed manual and two turbocharged powerplants, the Countryman S features a 189 hp turbocharged 4-cylinder with pricing starting at $31,700. For those that demand more the MINI Countryman in full John Cooper Works trim starts at $37,800, which seems like quite the bargain. A myriad of styling and accessory options ensure any of the MINI models can be customized to suit just about any weird taste, but being a premium brand, you can see prices rise past $43,000. The MINI Cooper Countryman has the title of being the most spacious MINI to date, which is sort of counter-intuitive to the name, but that doesn’t detract from the car’s versatility and appeal. For those that want more than just extra legroom and cargo space, like all MINI models the Countryman S can be had in front-wheel or all-wheel drive Cooper S guise with 189 hp available or in the all-wheel John Cooper Works guise with 228 hp on tap. 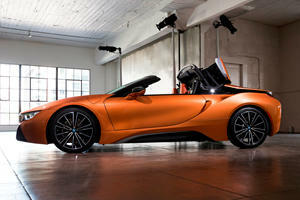 Transmissions include a choice of 6-speed manual and 8-speed automatic with paddle shifters. MINI has never been a cheap brand, but there’s only $6,600 between the lowest S and the highest JCW trims. The cabin of the Countryman S reveals good power adjustable, high-bolstered sports seats up front with reclinable sliding seating in the rear that can be configured to free up cargo space without intruding on passenger space too much. The multifunction steering wheel has a sporty look and feel to it, and the leather quality is the same as that on the seats and trimmings. The typically MINI instrument cluster is in play, as is the very round section in the center of the dashboard that houses the screen for the infotainment system. Below that the climate control retains the retro-style flip switches to change various settings. Things are similar in the JCW model, but here you’ll find things looking more sports-orientated with the JCW logo now found in key locations, a John Cooper Works-specific steering wheel and shift lever and front seats that feature an integrated headrest. Unlike back in the day when space was limited, the Countryman models can accommodate 5 adults with ease, along with a decent amount of luggage. The Countryman S is available in front-wheel drive or with MINI’s All4 all-wheel drive system, the latter being the best. The S really is good fun, and one of the better front-wheel drive setups that manages to provide handling akin to an all-wheel drive setup. Quick turn-in and great feedback is par for the course in the Countryman S. For the best driving experience in the biggest MINI in the range, you simply must sample the all-wheel drive JCW trim. It’s still primarily front-wheel drive with an electronically controlled limited slip differential but it reverts to all-wheel drive if a sufficient amount of slip is registered. Here the steering is precise and even sharper with a different ratio rack. Suspension is firmer in the S than in the normal model, and stiffer still in the John Cooper Works trim - the optional sport suspension is tighter still but never uncomfortably stiff, even on the optional 19-inch wheels. Brake feel is light in the S, while in the JCW the added Brembo calipers work harder with less input. The MINI Countryman S and S All4 make use of a turbocharged 2.0-liter that’s rated to produce 189 hp and 207 ft-lb of torque, good enough for a 0-60 mph run of 7.2-seconds for the front-wheel drive S and 7.0-seconds for the all-wheel drive S All4. The John Cooper Works tune sees that same turbocharged 2.0-liter push out a much better 228 hp and 258 lb-ft of torque translating into a quicker 0-60 mph of 6.2-seconds. The S, S All4 and JCW can be had with an 8-speed automatic Sport transmission with paddle shifters, while the S All4 and the JCW have the added option of a short-throw 6-speed manual to keep purists happy. The MINI Countryman S / JCW trims have the same great standard features like a 6.5-inch screen to head up the infotainment system that also offers up Bluetooth and available navigation as well as the rearview camera – the 8.8-inch screen is optional. Drive information is also available on the heads up display. There’s park distance control, rain-sensing wipers, and a responsive adaptive cruise control too while under the skin is dynamic stability control, ABS and all other manner of passive driver aids to keep you safe and on the black stuff. Audio upgrades and a host of convenience packages and features can be had, but you’ll pay to play. Not quite a wagon and not quite a sedan, the MINI Countryman S and the more powerful John Cooper Works is an oddity in the market, sort of an elongated hatchback, but it’s proven to be popular. 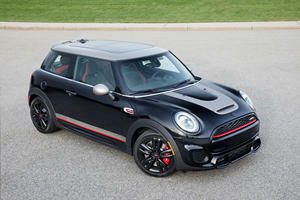 With the car being available in a host of configurations there’s bound to be a model to please everyone, from front-wheel drive to all-wheel drive, automatic to manual and high spec to race-spec for the road along with almost innumerable combinations of styling and features options (over 10 million according to MINI). The turbocharged motors are powerful and responsive, but you pay for the premium quality.